Seeing the common practice, it seems that body shaming has indeed become a norm. Every day we listen and read about actresses being body shamed by internet Trollers. 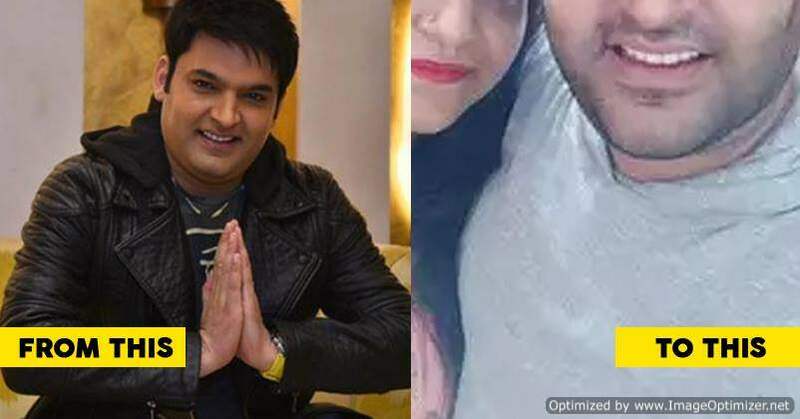 Be it any actress, from the Bollywood biggies to the not so popular actresses, trolling and body shaming has become like a regular practice now. The latest actress to be added in this list of actresses who have recently become a target of internet trolls is none other than Ileana D’Cruz. 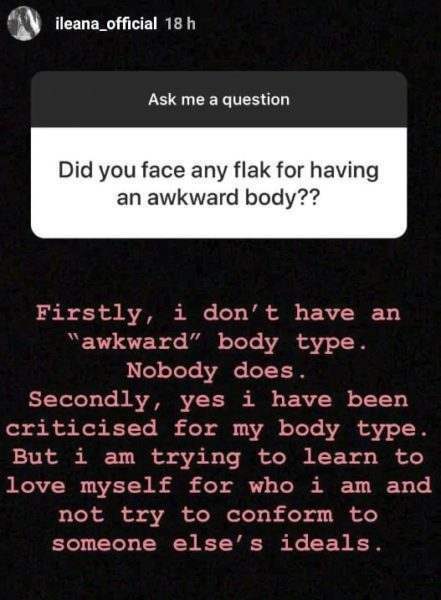 She decided to go with the latest Instagram craze of “Ask Me Anything” and one of the Trollers decided to take it on Ileana by asking if she was ever criticized for having an awkward body type. However, Ileana was not someone to take it as it is. She gave a befitting reply to the person who asked her this question. TV Actress Shraddha Arya Dances In A Towel And Things Go Terribly Wrong-Here’s What Happened! Next story Salman & Katrina Walked The Ramp For Manish Malhotra. Pics Inside! Previous story Nick Jonas Is Obsessed With Fiancée PeeCee. Here’s Why!